This is Xena and Hercules story and the story of the first 6 weeks of their babies lives. 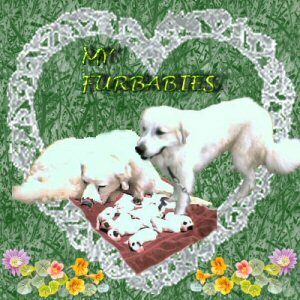 This website is to show you Xena and Hercules children entrance into the world and here you will see each and every one of them grow up. Hopefully there will be later pictures of these precious little babies in their new homes a little into the future. These children were born on April 26, 2004. There were 13 born and 11 of which have survived. We have 5 girls and 6 boys. We presently have a little girl struggling, but we will keep you informed on how she is doing. Compared to all the rest, this little girl was born a little on the small side, but she's a strong fighter, and hopefully she will pull through. The little girl went to Rainbow Bridge early last Thursday morning. Her lungs were not fully developed and she had pnemonia. 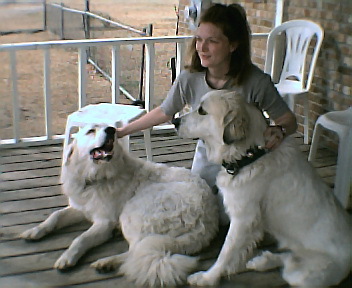 Queen Xena and King Hercules are the proud owners of Richard and Gayla Anderson of Oklahoma.